I was shopping at a local mall recently and walked by Santa Claus. When I was a kid, I was scared to death of Santa and never would go up and sit on his lap, much to my mother’s chagrin. As I grew older, I always felt I missed something in life. I thought it was time to meet the jolly old fellow and I got in line. Soon enough, I was sitting on his lap and beaming to the crowd in front of me. I then asked him, “What is the true meaning of Pinot Noir?” This is what he told me. The specific origins of the name are unclear, but is known that Pinot Noir appeared in the Côte d’Or prior to the 14th century, and possibly as early as the 5th century B.C.. The grape was initially called noiren long before the word pinot appeared. Pinot first surfaced in the last part of the 14th century in papers of the Dukes of Burgundy: a document of Philip the Bold showed an order for a shipment to Flanders of “vermilion pinot wine” in 1375. Pinot was initially often spelled pynos or pineau. No other grape variety has a name that has been in use for more than six centuries. At the end of the last century, pinot was made the official name to avoid the Burgundian peasant pronunciation of pineau as “peen-yo” or “peen-yew.” The grape has had multiple names in the Côte d’Or through the years including franc norien, franc pineau, plant a bon vin, plant fin, plant noble, franc bourguignon, frank pinot, petit pinot, and morellon. Today, the word pineau designates the Chenin Blanc grape of the Loire Valley. 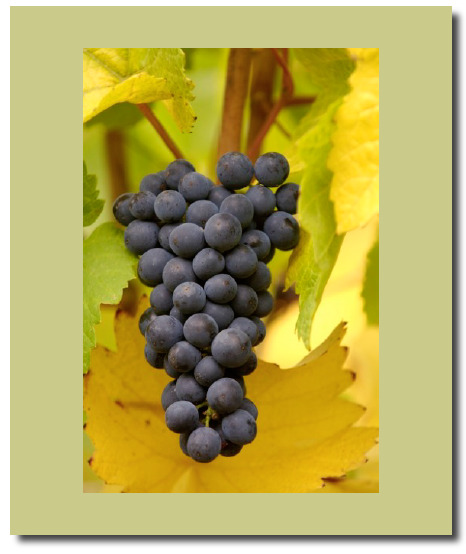 Pinot Noir is thought to be named pinot because its grape cluster resembles a pine cone in shape. In reality, this feature is not readily observable as a distinguishing characteristic. The word noir comes from the fact that the grape’s skin is a dark blue that is so darkly colored it is called noir, the French word for black. In actuality, the skin of Pinot Noir contains considerably less pigment than other varieties such as Cabernet Sauvignon and Syrah. If after reading this article, you wish to obtain Continuing Education credits in Pinot Noir, please write Santa Claus at the North Pole.